MIDI & MP3 files of single note solo and rhythm section. With this being my first foray into the intermediate/advanced level bebop improvisation, I was impressed with both the lines themselves and the presentation of the lesson. What was an originally a flurry of notes followed by “what the hell was that?” became lines that are being worked into my own vocabulary. The lines themselves challenged both my left and right hand techniques and the effort has paid off as they have both improved tremendously. The other benefit to this DVD from an educational perspective, at least from the standpoint of someone making a shift from the Ticket to Improv series, is that once the bulk of the Ticket to Improv series got under my hands and once I started understanding the lines, ideas and underlying harmonic concepts in that series, I was able to see them in this DVD, thereby making the learning far less steep and providing an important first step and confidence to tackle the challenge. 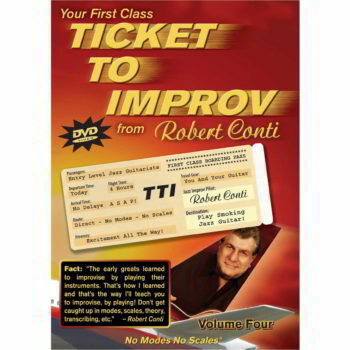 This speaks as much for the Ticket to Improv series for its ability to prepare students as much as it does for this DVD to further increase that knowledge and ability to play. As I’ve mentioned before, the ability to obtain results speaks volume about an educator’s ability to educate as well as the credibility associated with the ability to deliver the results promised. Robert Conti has hit a home run on both counts! 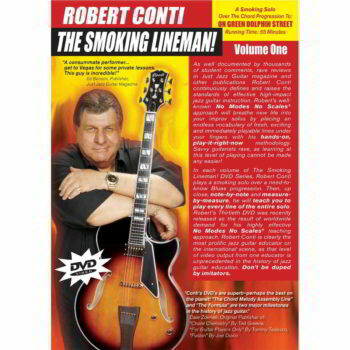 Just got through previewing the Smoking Lineman and Chord Melody DVDs. The production and approach is fantastic. Just the way I have felt a teaching product should be made and marketed for many years. For those of us with limited time and passion for jazz guitar this is perfect! I will start practicing this weekend! 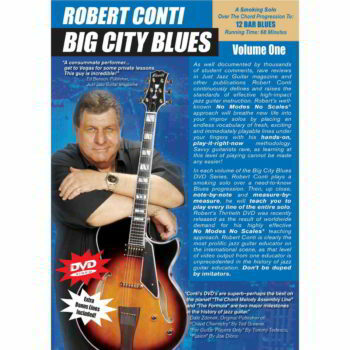 Hello, I’m a Professional Musician in Brazil, and I got this DVD Conti give to us an amazing theory and style improvisation that you MUST know, I’m so glad to learn with Conti. Thank You Very Much! As I’ve mentioned before, the ability to obtain results speaks volume about an educator’s ability to educate as well as the credibility associated with the ability to deliver the results promised. 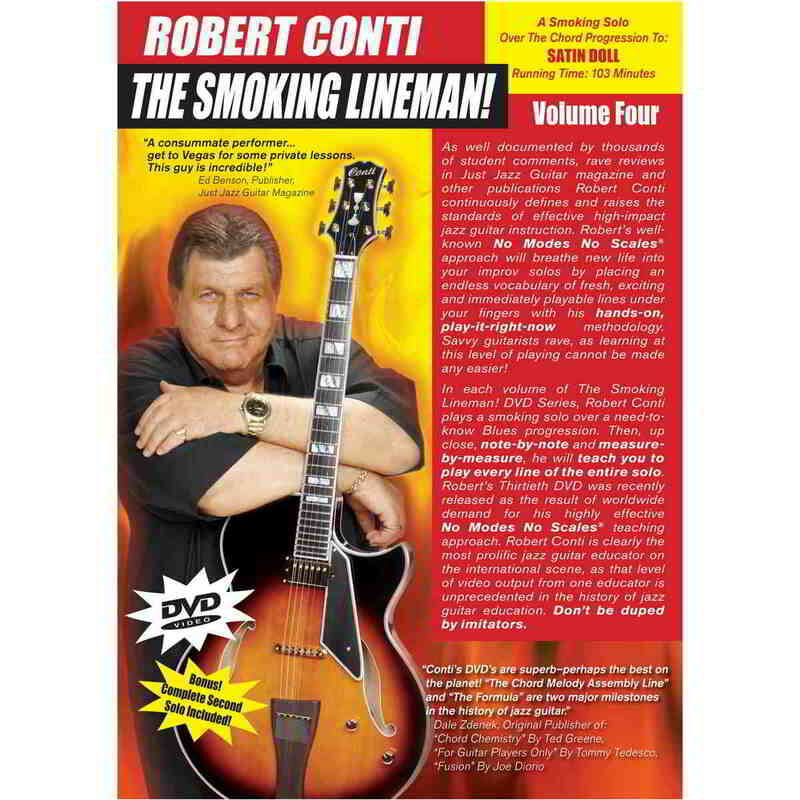 Robert Conti has hit a home run on both counts.